We all know that Redmi Note 3 is the smartphone with 4100 mAh battery capacity which can last for more than two days with mixed usage. Redmi note 3 has 16-Megapixel rear camera with PDAF and dual tone LED flash. 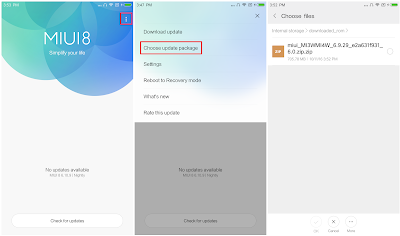 Today in this article we will guide you to update your device to latest MIUI i.e MIUI 8.2.3.0. > This only works in the Redmi Note 3. Don't it on other devices. > Please take a backup of your Xiaomi Device before installing the ROM. > Make sure that your phone must be at least 60-70% charged. > Connect your Xiaomi device with Windows PC via a micro USB cable and copy the ROM file from the folder 'downloaded_rom' in the internal storage of your device. 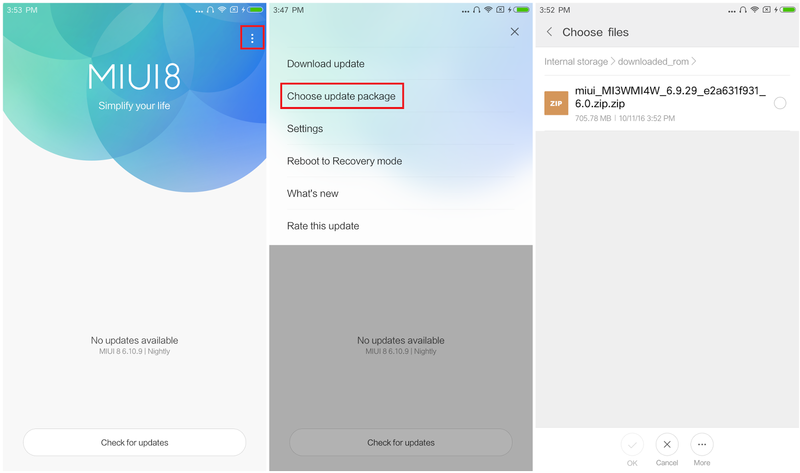 > Launch 'Updater' app on your device- MIUI 6/7/8: Click the '...' icon at the top right corner, select 'Choose update package', and choose the ROM file you've put in 'download_rom'. > After choosing the right ROM file, your device will begin upgrading. 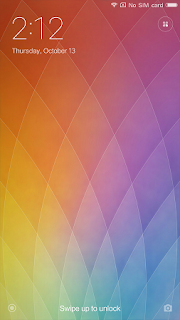 Your device should automatically boot to the new version when the update is completed. > If you see the following image after rebooting, it means that you have succeeded in flashing MIUI ROM.